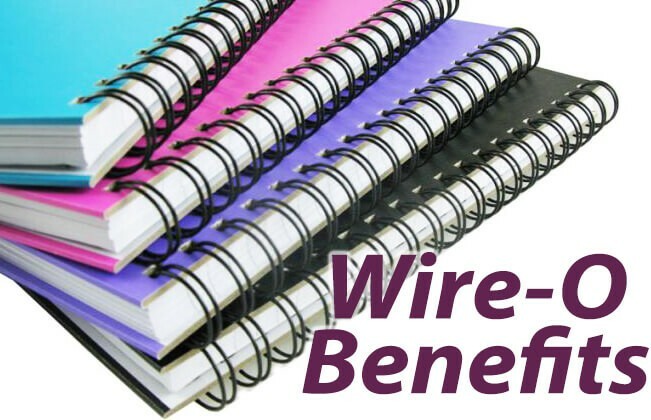 What are the Benefits of Wire-O Binding? Wire binding is one of the most popular ways to document bind. You can find them on sketch books, notepads, professional presentations, calendars, and so much more. The process involves a punch and bind machine that punches holes, and closes a twin loop wire around your book. If you've been wondering why wire-o binding is one of the best ways to document bind, then check out these 3 main benefits of wire binding. Perfect registration means that you can open the book to lay flat on a table, and flip the cover all the way around so that the covers lay back to back, with perfect alignment of the covers. It is no surprise that metal wire bindings are classy and stylish. The metallic finish looks great in the variety of colors they come in, especially the silver and gold (in my personal opinion). Wire-O twin loops are incredibly professional. A document bound with wire looks clean and, when paired with the proper report cover, offers an expensive looking presentation that can impress potential clients.